If he’s right, New York investor Robert Mercer and his daughter Rebekah, the very same mega-donors who propped up Cruz’s bid, are due for some scrutiny. In June, the Mercers threw their support — and super PAC — behind Trump’s bid, at a time few other mega-donors were doing so. And in August, reportedly acting on Rebekah Mercer’s suggestion, Trump hired and promoted a cadre of operatives closely connected to the Mercers, including two who had run the Mercers’ super PAC, to his campaign leadership team. Mercer, reclusive by nature, isn’t inclined to speak publicly about his giving, making it a challenge to determine much about either his reasons for promoting a Trump administration or what he stands to gain. Robert and Rebekah Mercer both declined to be interviewed for this story. But a Center for Public Integrity review of Mercer’s political and philanthropic spending found clues. Mercer’s largesse has largely gone to anti-establishment groups and insurgent candidates working to pull the Republican Party further to the right, rather than the business-backed organizations closely associated with the Republican establishment, adding to his reputation as an ideologically motivated giver. He has heavily funded ultra-conservative media outlets, like Breitbart News and Brent Bozell’s Media Research Center. His foundation gives to groups that question human involvement in climate change, such as the Heartland Institute think tank and others. He’s also backed the Citizens United Foundation and the Government Accountability Institute, organizations that have ardently pursued an anti-Hillary Clinton agenda. There are signs, however, that Mercer is also motivated by issues that affect him personally. At least twice, he has unleashed gushers of outside spending to derail the re-election of a lawmaker — one who backed a tax on hedge fund transactions, another who investigated his company’s tax strategies. Robert Mercer, 70, co-chief executive officer of hedge fund Renaissance Technologies, has emerged as the single most influential donor to Trump, the brash businessman whose political rise was propelled by his personal fortune. Mercer grew up in New Mexico, participated in the band and the chess club in high school, and attended the University of New Mexico. He has said he didn’t use a computer until he attended a youth science camp after high school, though he was fascinated by them. He got a Ph.D. in computer science from the University of Illinois and joined a team at IBM that used statistical techniques to enable computers to understand speech and translate languages, work widely hailed as groundbreaking. “I’m happy going through my life without saying anything to anybody,” Mercer told The Wall Street Journal in 2010, in a rare interview given when he and Brown took over as co-CEOs of Renaissance Technologies. Since then, he has become one of the highest-paid hedge fund managers in the business. But Mercer’s greatest influence on Trump may not be via his cash but, rather, through key operatives who have leaped from the Mercers’ organization to lead Trump’s: campaign manager Kellyanne Conway, campaign CEO Steve Bannon and deputy campaign manager David Bossie. “What [Rebekah] and her dad did was go sit down with the Donald and talk to him about his team. His team was failing him. They weren’t controlling the message and all that,” said Toby Neugebauer, a donor who worked in conjunction with the Mercers when they were supporting Cruz. Conway is a Republican pollster who oversaw day-to-day operations of the Mercers’ super PAC through early June, while it backed Cruz and had a different name, Keep the Promise I. In late June, after Cruz’s withdrawal, the Mercers repurposed the group as an anti-Clinton PAC, changing the name to Make America Number 1. Conway departed to join the Trump campaign, a move announced on July 1. Conway’s association with Mercer and Trump has been profitable. 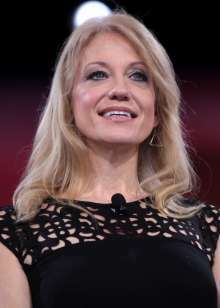 The Mercer super PAC, Make America Number 1, reported paying Conway’s firm, the Polling Company, more than $950,000 during this election cycle, including roughly $247,000 in August, after she had left to work directly for the Trump campaign. Trump’s campaign, for its part, reported paying the Polling Company roughly $128,500 in August. Campaigns and the super PACs supporting them are legally prohibited from “coordinating,” though the laws are complicated. They are permitted to have common vendors if appropriate steps are taken to avoid illegal sharing of information. Public filings do not make it clear when the work was performed. She did not respond to follow-up questions. In addition, she said “no further work is planned” for the super PAC. 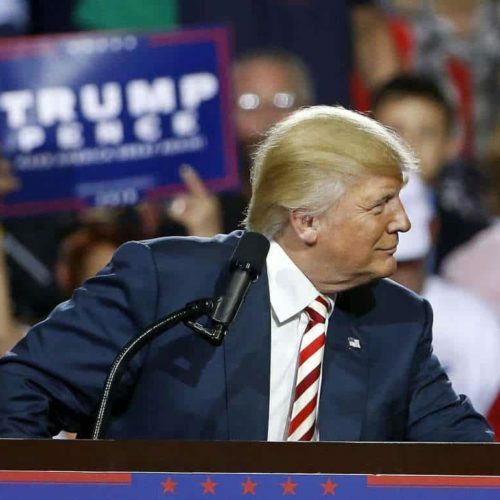 Bossie took over briefly until he, too, joined the Trump campaign at the beginning of September. 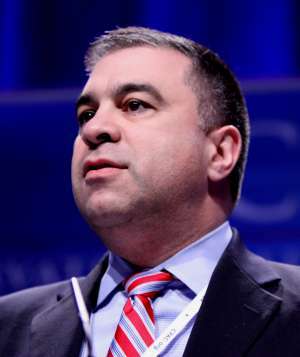 Bossie was head of Citizens United, the organization that made the anti-Clinton documentary that led to the landmark 2010 Supreme Court campaign finance ruling Citizens United v. Federal Election Commission. Bossie is taking a leave from Citizens United while working with the campaign. The Citizens United Foundation received about $3.6 million in grants from the Mercer Family Foundation between 2012 and 2014, tax filings show. 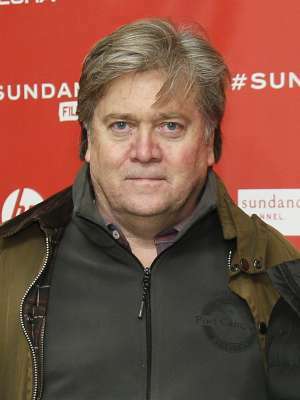 Bannon’s relationship with the Mercers has long been chalked up to Robert Mercer’s reported investment in Breitbart News, the conservative news site Bannon headed before taking a leave of absence to join the Trump campaign. The Mercers declined to comment on the reports of the Breitbart investment but Breitbart has disclosed a debt to a limited liability company with the same address as Renaissance Technologies, Gravitas Maximus LLC, according to corporate filings. Breitbart News, however, is not the only joint endeavor involving the Mercers and Bannon. Rebekah Mercer and Bannon have also worked together on the boards of two nonprofits, the Government Accountability Institute, a conservative investigative research group, and Reclaim New York, a watchdog and advocacy group, according to a Center for Public Integrity analysis of tax filings on the Citizen Audit website. Bannon and Bossie have long collaborated on projects. Bannon has directed some film projects for Citizens United, and the Citizens United Foundation paid Bannon’s company $150,000 for “film consulting” in 2013, according to its tax return. Bossie has taken credit for introducing Bannon to Trump in 2011, when Trump was considering running for president during the 2012 election cycle and sought advice. 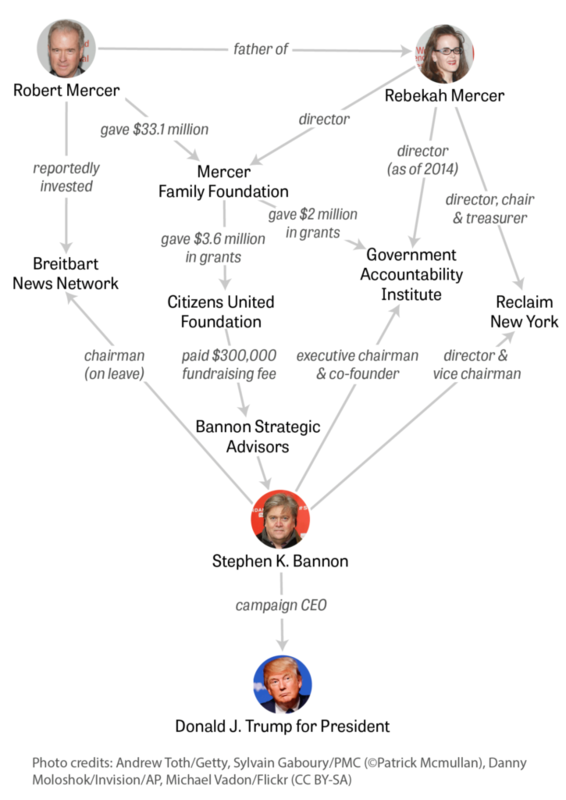 And in a previously unreported transaction, Bannon Strategic Advisors received $300,000 from Bossie’s Citizens United Foundation in 2012, a fundraising fee apparently in exchange for bringing in a $2 million grant from the Mercers’ foundation. Mercer has provided more than advisers and cash. He’s reportedly a significant investor in Cambridge Analytica, an offshoot of British company SCL that recently opened offices in New York, which claims to help clients target voters or donors by using a personality model to determine the type of appeal that will be most effective. The company has been a vendor for the Mercer super PAC, currently known as Make America Number 1, and now, the Trump campaign, which paid it a total of $350,000 this summer. Mercer has made more direct investments in politics. 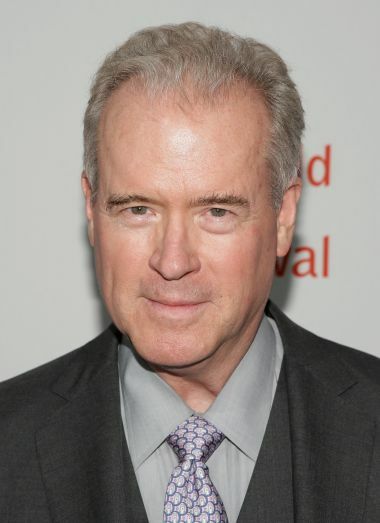 Together with his wife, Diana, Robert Mercer directly contributed roughly $23 million to federal candidates and political committees during the 2016 election cycle through the end of August. That made the couple the top individual donors on the Republican side, according to federal campaign contribution data tracked by the Center for Responsive Politics. Of that, Robert Mercer gave $15.5 million to Make America Number 1 and $2.5 million to the John Bolton super PAC. Robert and Diana Mercer together gave about $1.3 million to the Republican National Committee. There’s potential for millions more: Robert Mercer earned $150 million last year, according to Forbes. Rebekah Mercer has given roughly $510,000 this election cycle, including nearly $450,000 to the joint fundraising committee established by Trump and the RNC, a Center for Public Integrity review of campaign finance filings found. Most of those who have received funding from the Mercers did not respond to repeated requests for comment or declined to speak on the record. But the Mercers have clearly built one of the most significant independent political infrastructures of the moment. 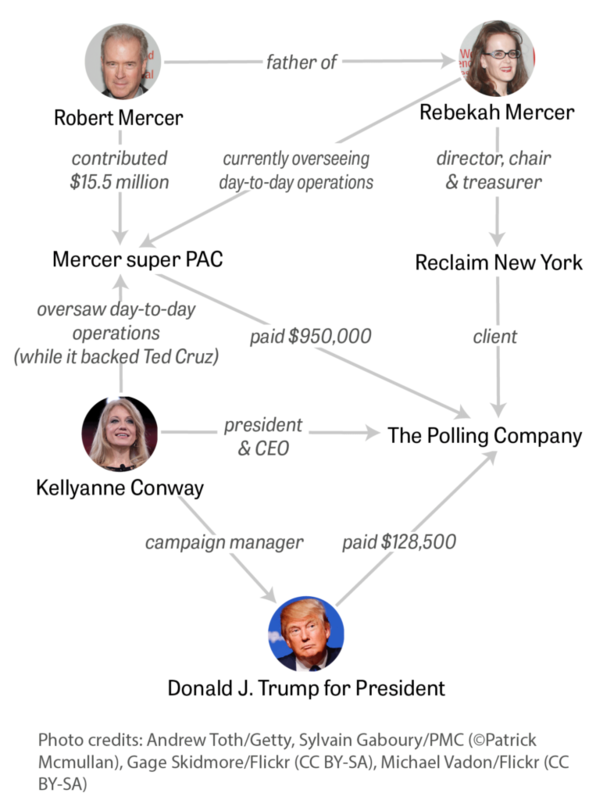 Early in the 2016 election cycle, the Mercer operation emerged as a key backer of Cruz’s presidential bid, and the operatives running it hit Trump hard. The Mercer-backed super PAC even gave $200,000 to an anti-Trump group, Our Principles PAC, in March. When Cruz withdrew, the Mercer family nonetheless threw their backing to Trump — a striking show of support for the then-almost certain nominee at a time when many major GOP donors hung back. The Mercers issued a rare public statement to The New York Times reprimanding Cruz when he declined to endorse Trump at the Republican convention in July, and now are being publicly credited with convincing the Texas senator to make the public endorsement he issued in late September. In another statement, this one given to The Washington Post applauding Cruz’s endorsement, the Mercers made their feelings about the election — and the establishment — clear. “For the first time in many decades, American voters have the chance to turn their backs on the political elite, an elite both Democrat and Republican, that has chosen as its leader Hillary Clinton, a dedicated foe of both the First and Second Amendments and the most dishonest, corrupt and incompetent politician ever to seek the American presidency,” the statement said. Rebekah Mercer, 42, an active philanthropist who lives in a Trump building on Manhattan’s Upper West Side, is the middle of three daughters and the director of the Mercer Family Foundation. The foundation reported giving $18.3 million in contributions and grants according to its 2014 tax filing, the most recent available. Like her father, she rarely gives interviews or comments publicly about her philanthropy. The Stanford University-educated mother of four is nonetheless more visible and hands on. She is frequently photographed attending charity events, and reportedly consistently participates in conference calls about the super PAC’s day to day operations. Because of the family’s reticence to speak publicly, it’s difficult to determine the motives behind their giving. Stories about Robert Mercer tend to highlight the same few publicly known details: his poker playing, the $2.7 million model train in his basement that became the subject of litigation, his advocacy on behalf of the gold standard, the high-end bakery, now online only, owned by the three Mercer daughters that was featured in Vogue. Bopp said he’s also spoken to Mercer’s lawyer in the past about cases in which the Mercers are interested. The conversations “are always just about cases, what’s this case about, what are the issues, why is it important,” he said. Packer is a former Romney deputy campaign manager who founded Our Principles PAC, the group that received $200,000 from the Mercers’ super PAC last March. She said they were brought in by other donors and she doesn’t know them personally. Their philosophy has led them to invest heavily in conservative media outlets. In addition to the reported private investment in Breitbart News, the conservative Media Research Center, a media watchdog run by longtime conservative activist Brent Bozell, received about $13.5 million in grants from the Mercer Family Foundation between 2008 and 2014, and Rebekah Mercer is a member of the group’s board, tax filings and annual reports show. In 2014, the Mercer Family Foundation gave the Media Research Center $3 million, which made up nearly $1 of every $4 the group received in contributions that year. The group says its videos were viewed more than 21 million times in 2015. Its campaigns include advocating for new GOP leadership and criticizing President Barack Obama’s response to ISIS. According to audited financial statements ForAmerica filed with New York state regulators, more than 90 percent of the $5.3 million the organization received in contributions in 2014 came from a single donor, but Bozell did not respond to questions about the donor’s identity. The Mercer Family Foundation has also backed multiple organizations that aggressively question whether humans contribute substantially to climate change. “Most scientists do not believe human greenhouse gas emissions are a proven threat to the environment or to human well-being, despite a barrage of propaganda insisting otherwise coming from the environmental movement and echoed by its sycophants in the mainstream media,” reads the website of the Heartland Institute. The Mercer Family Foundation’s contributions have repeatedly made up a major percentage of Heartland’s total contributions. In 2014, the Mercers gave the think tank $885,000, which amounted to 13 percent of the total amount it raised in contributions that year. Altogether, the Heartland Institute received nearly $5 million from the foundation between 2008 and 2014. A spokesman for the Heartland Institute did not respond to a request for comment on the Heartland Institute’s relationship with the Mercer family. The money from the Mercer Family Foundation was nearly all of the money the group received in 2013, according to its tax filing — the group only reported receiving another $27,235 in contributions and grants that year. The Center for the Defense of Free Enterprise 2014 tax filing does not reflect the $250,000 grant the Mercer Family Foundation reported giving it that year; the reason is unclear. It otherwise reported receiving a mere $28,512.96 in contributions. The group’s website appears to be currently offline. Arnold did not respond to a request for comment. Another Mercer Family Foundation grantee, the Oregon Institute of Science and Medicine, is headed by a scientist who spearheaded a petition opposed “to the hypothesis of ‘human-caused global warming,’” according to its website. That scientist, Art Robinson, is currently making his fourth bid as the Republican candidate for the U.S. House of Representatives seat from Oregon currently occupied by Rep. Peter DeFazio, a Democrat. In 2010, the first time Robinson ran against DeFazio, Robert Mercer spent roughly $600,000 via a super PAC to boost Robinson, catching DeFazio by surprise. “Sometime in October, they had to file a disclosure, and that’s when it came out that it was Mercer,” DeFazio said. To this day, DeFazio isn’t sure whether to chalk Mercer’s opposition up to the wealthy donor’s preexisting relationship with Robinson’s institute or to DeFazio’s own promotion of a so-called transaction tax, a proposal that has the potential to cut into Renaissance Technologies’ earnings. Either way, he said, Mercer’s continued backing of Robinson — though he has yet to spend any money on the race this cycle — has distorted the normal course of events in the district. The district is a swing district, DeFazio said, and “a more credible, less extremist Republican opponent could be a real problem.” Mercer’s backing, though, gave Robinson an edge over other Republican contenders, he said. Robinson did not respond to requests for comment. During the 2012 election cycle, Mercer contributed about $440,000 to a super PAC that spent roughly the same amount boosting Robinson. In 2014, he gave $1.75 million to the Ending Spending Action Fund, which spent about $733,000 in the DeFazio/Robinson race. A review of campaign finance filings shows no contributions by Mercer targeting the Oregon race so far this cycle, though in past years, he’s contributed large sums as late as the end of October. That doesn’t mean he doesn’t have any grudge matches going this year. In July, Robert and Diana Mercer contributed $200,000 to KelliPAC, a super PAC backing Arizona state Sen. Kelli Ward’s Republican primary challenge to U.S. Sen. John McCain. In August, the couple dropped in another $500,000, making them, by far, the biggest contributors. Nonetheless, McCain easily beat Ward in the August primary. The firm denied it, but the Internal Revenue Service subsequently took steps to limit the use of the strategy employed by Renaissance. McCain himself has openly said the Mercers’ contributions to his opponent were revenge for the tax investigation. “We issued a scathing report about this guy evading taxes, his firm. I’m sure there’s no connection of a $600,000 injection into the Kelli Ward campaign,” he told Politico. A side note: In August, Cambridge Analytica popped up for the first time as a vendor to KelliPAC, which paid it $450,000. In June, when Mercer repurposed his super PAC, it was billed as a vehicle for donors who wanted to oppose Clinton but weren’t ready to back Trump. It would informally be known as the “Defeat Crooked Hillary PAC,” Bloomberg reported. 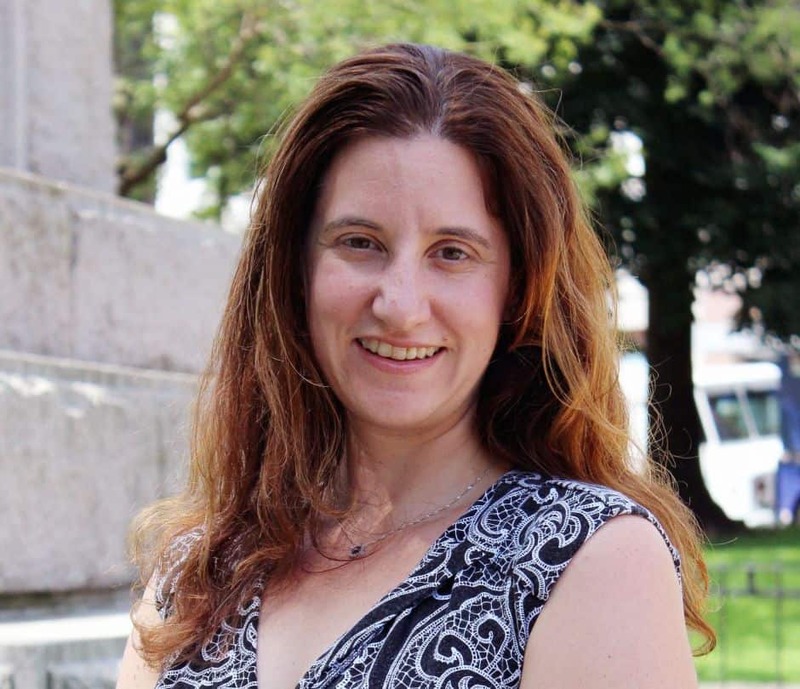 It has been slow to attract other donors, though it did in August pull in a $1 million contribution from philanthropist Cherna Moskowitz and $50,000 from Erik Prince, the former head of private security firm Blackwater. It certainly won’t be the only Mercer-backed organization to focus on anti-Clinton efforts. 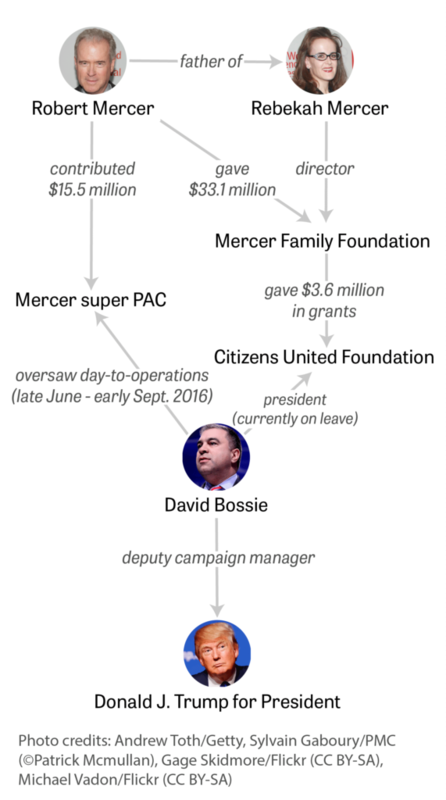 Among the Mercer Family Foundation’s grantees: Bossie’s Citizens United and the Government Accountability Institute, both of which have steadfastly opposed her. Peter Schweizer — the author of the book Clinton Cash, which examines the sources of the Clintons’ wealth — is president of the Government Accountability Institute, which has received at least $2 million from the foundation. Rebekah Mercer and Bannon were both members of the board as of 2014, according to tax filings, though a board listing on the group’s website doesn’t currently include Rebekah Mercer. The film version of Schweizer’s work, also titled Clinton Cash, was in part financed by the Mercers. It was made by a video company that uses a California address also used by other Mercer-linked companies, including Breitbart News and Cambridge Analytica, as well as by Bannon’s company. “Defeat Crooked Hillary,” of course, sounds a lot like what Trump says, so it’s clear the Mercers have been listening to the candidate — and the other way around, too. The candidate who spent the primaries tweeting that big donors “cannot influence Trump!” appears, at least for now, to be listening pretty closely to the biggest mega-donor to line up behind him so far. Chris Zubak-Skees and Will Fitzgibbon contributed to this story. Versions of this story were co-published with NBC News and Newsweek.